1. Catherine James: born September 14, 1807 in Pennsylvania; married Noah W. Buxton; died May 14, 1896 in Coshocton County, Ohio. 2. Anna James: born circa 1810 in Perry Township, Coshocton County, Ohio; married Soloman Ripley. 3. Thomas James: born May 14, 1812 in Coshocton County, Ohio; married circa 1833 to Sarah Ann Cochran (1815-1888), daughter of William and Elizabeth Cochran; died March 23, 1889 (aged 76) in Coshocton County, Ohio; buried at Oak Ridge Cemetery in Coshocton, Coshocton County, Ohio; known children include: Melvina James, Rebecca J. James, Rachel V. James, Ruth V. James, Nancy E. James, Sarah K. James, James F. James and Elias William James. 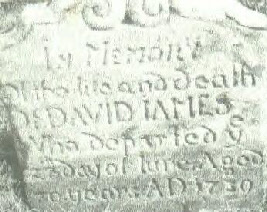 Elias James, Jr. (1785-1860) was the son of Elias James (1744-1789) and Anna Matson (1746-1827) of Loudoun County, Virginia. The last son of Thomas James, Elias William James was born on February 11, 1837 in East Union, Coshocton County, Ohio. He married Cornelia A. Denver, daughter of Patrick Denver and Mary Murphy of Clinton, Ohio on May 26, 1870 or May 16, 1871 or and died circa 1904. Elias and Cornelia are known to have had a daughter Mary D. James born February 1873 and Rosalie James born April 1887. Information on Anna James comes from website “OneGreatFamily” under “Anna James” at https://www.ongreatfamily.com/fn/Anna-James/604484204. Original source unknown. The fact that Elias James, Jr. had six children comes from the biographical brief of Thomas James appearing in, “History of Coshocton County, Ohio: Its Past and Present, 1740-1881” by Albert Adams Graham and available on Google Books. Find A Grave Memorial for Thomas James (1812-1889), Memorial ID No. 96695343, created by Debe Clark, added September 7, 2012.